Following last week's management shuffle at Microsoft, the company's Surface team has taken over testing its prototype smart watch, including variations with the same connector that Microsoft uses on its Surface tablets. According to The Verge, Microsoft's smart watch prototypes were previously tested by the Xbox accessories team. The move to the Surface group underlines a recent organizational change at Microsoft that aligns Xbox hardware and Surface hardware into a single division, with former Windows chief Julie Larson-Green now responsible for all of Microsoft's hardware efforts. In addition to a potential Surface connector that could allow a smart watch to interface with existing Surface tablets, Microsoft is also said to be testing smart watches that have 1 1.5-inch display, a heart rate monitor, and are running a modified version of Windows 8. 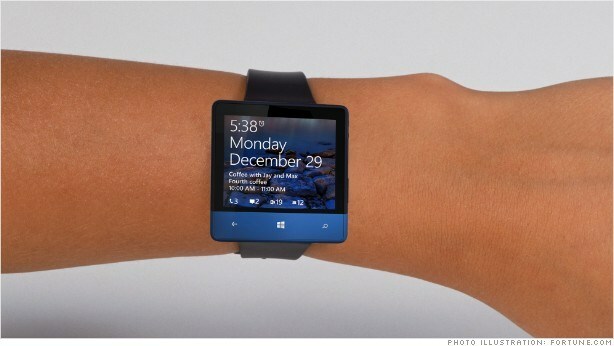 As Microsoft experiments with its smart watch, it appears Apple is in the prototype stages as well. According to a report yesterday, Apple has begun "aggressively" hiring new employees to help with the smart watch, which is now expected to be released in late 2014. Apple's own smart watch is expected to run the full version of iOS and could include a heavy focus on biometrics and health related applications. Along with Microsoft and Apple, both Google and Samsung are said to be working on smart watches of their own. At this point in time, it seems all companies are in the testing phases with no indication of which smart watch might hit the market first. According to Microsoft fans, a Microsoft watch won't be good unless it's a full computer and runs all Windows programs including Office. So tell me again, how do you do a CTRL-ALT-DEL on one of these? The live tiles of windows 8 actually are perfect for a watch. This should be interesting. All relative. It's more about seamless integration. And if you're an iOS user - I'm guessing Apple will provide a superior product for iOS users. And conversely - if you're a MS user - then their smartwatch will offer better integration for their ecosystem. A lot of people want iOS fully on their wrist. No different. Oh - I get it - this was a jab against Microsoft fans? A lot of companies have been working on smart watches - long before Apple "announced" they were working on one. All this focus on damn watches. I couldn't care less about watches. I wish the tech industry would focus on something else. You're not seriously trying to imply that Apple was the first company to ever consider a watch-like device that did more than tell time, are you? You mean how since Pebble was announced and blitzed through Kickstarter that other tech companies want a slice of this pie too?